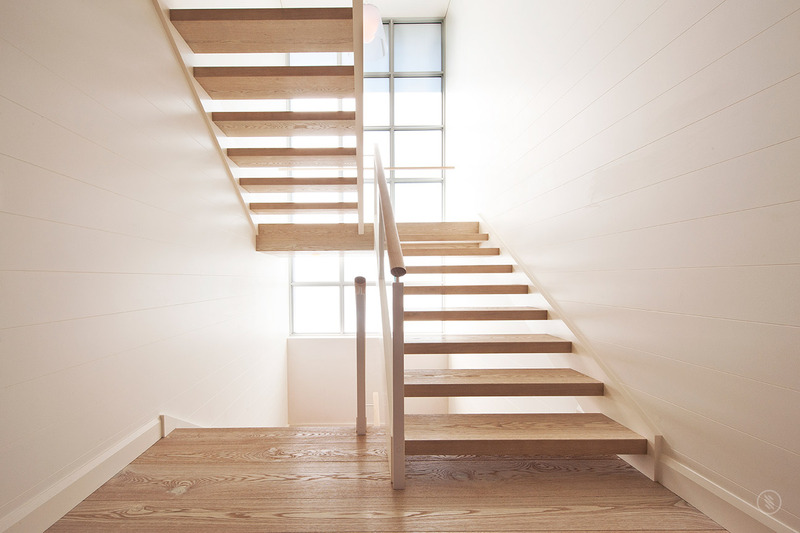 Rob Beard, the director of S&A Stairs, has outlined some points to consider when considering your next staircase. The stair has one fundamental purpose - to move the user safely between different levels in a building. To begin with, the staircase fulfilled no more than this need, with the design determined by the location of the staircase and the needs of the user. The fundamental method of staircase construction and design did not change until evolving cultures and their different building styles had specific requirements that began to change the form and style of staircases. The impact stairs can have on a building can be seen throughout history. Consider the Mayan and Inca Pyramids, the European castles and the Spanish Steps in Rome. All of these homes and historic public buildings have compelling visual impact and communicate a message of economic and political strength. As time and architecture has evolved, the staircase has become a fundamental element of the architectural design. A well designed staircase makes a powerful statement aesthetically while still needing to functionally perform. The staircase design must meet technical requirements that ensure safe and functional construction that complies with the Building Code of Australia and the appropriate Australian Standards. Also, with the introduction of more socially responsible building standards that require continuous handholds thus allowing better and safer access to buildings for the disabled and visually impaired, the importance of staircase design allowing for handrail installation has never been greater. Staircases perform many functions in a home. The staircase allows simple and economical access between floor levels and can make a statement that enhances the architectural style of a home. For example, contemporary glass balustrade designs allow for an openness that is in demand. The influences at work when managing the spaces in and around the stairwell can be complex. As an example, designing the final layout of a feature staircase can create conflict between spaces in a dwelling. Each space has a function, it may be a narrow hallway, a doorway under the staircase or breathing space from the front door. Often a stair builder finds them the negotiator seeking a harmonious outcome that benefits all stakeholders and allows each space to function as it was intended. Entry and exit points of a staircase must be well managed and need to take into account a dwellings heavy line of traffic. Small design adjustments here can greatly decrease the occupant's travel distance. Utmost importance needs to be given to ensure the stair complies with the Building Code of Australia and the appropriate Australian Standards. Staircases by their nature can be a hazardous and litigious component of any building project, therefore care should be taken when engaging and informing the stair builder of your needs. It is essential that the stair builder is aware of all aspects of what is required of them and are provided with whatever information they require from the builder etc. Specifically the stair builder must be aware of the floor finishes to the adjacent floor areas to ensure that the riser heights throughout the stair are uniform and that level handrail meets a minimum height of 1m above the finished floor levels. Most reputable stair builders are keen to assist with staircase design. Technology allows the designer and owners not only assistance with design but a wider range of options at a more reasonable price currently than at any other time in the history of stair building. Many designs in the past have been labour intensive and therefore quite expensive. The stair builder who has modern CNC machinery is able to provide cut stringers, open stairs, central carriage stairs and geometric stairs at prices that in real terms have never been cheaper. The other advantage of modern technology is a high degree of accuracy. Across the range of different stair types, there has never been a higher level of accuracy and quality than what is available now. Other considerations when selecting a builder is whether they are a licensed to construct staircases. In Victoria, the licensing process is done by the Building Commission and the stair builder must be a Registered Building Practitioner (RBP). It is required under building legislation that any work greater than $5,000 be done by a RBP and that practitioner protects the clients with guarantees of their work and insurance cover for work greater than $12,000. In some cases the client and building surveyors can also be prosecuted if a RBP is not used. It is advised that if there are any doubts in matters of registration that the Building Commission be contacted for clarification and recommendation of appropriate RBP's who manufacture and install stairs.